A growing trend on college campuses has been the implementation of food pantries and other food resources designed to provide cash-strapped students with some cover when it comes time for a meal. With financial strain facing many students, these programs can provide a valuable service in a time of need. 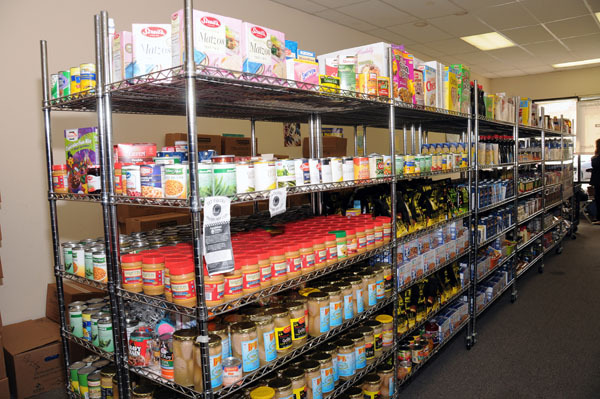 According to a report from the New Haven Register, Southern Connecticut State University is the latest to join the trend after partnering with the neighboring Milford food pantry. The partnership is enabling students on SCSU’s campus to twice a month receive up to 10 pounds of food per person in their household after filling out a pantry form, which is used for statistical purposes. The idea to institute a student food pantry at SCSU was inspired by similar initiatives at other college campuses, but the campus lacked a permanent space to accommodate a brick-and-mortar pantry. To solve this, the university’s alumni association made tickets available to students and faculty that could be redeemed for meals at the campus dining hall. It wasn’t until later that the service was boosted by a partnership with the nearby Milford food pantry. Two days each month — with plans for one Saturday each month as a third day — the pantry provides the SCSU community with food. It’s a service that the Milford food pantry is looking to expand in the future. From February 2015 to December 2015, the mobile pantry provided a reported 5,644 meals to 624 individuals at SCSU. At that time the total enrollment at SCSU was 10,473 students. At SCSU, there are plans to expand and improve the pantry, as university administrators are considering implementing cold storage to preserve foods and other cold items for students to take home. The Alumni Association still gives tickets to those who are hungry and cannot afford meals. Approximately $3,000 in Alumni Association dues goes to food tickets annually, with another $2,000 going toward funding the pantry. The Milford food pantry is also in talks with nearby Gateway Community College in the hopes that a similar initiative may be started for their students.